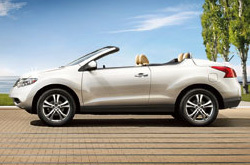 For the full 2013 Nissan Murano CrossCabriolet review, please scroll past the video below. Reliable Nissan stands out from the competition with products and services made to assist you in your search.These well-written reviews will help you do just that. The following article is packed with worthwhile data- it contains everything so that you can make cognizant decisions about the Nissan you want to buy. Watch the video below or skip it to get the Murano CrossCabriolet review. By examining the 2013 Nissan Murano CrossCabriolet alongside the 2013 Ford Expedition, Infiniti JX and the Lexus RX, and you can realize that the Murano CrossCabriolet scores higher those autos in various zones. View the hightlights below. To get your Nissan Murano CrossCabriolet worked on by phenomenal service techs, you don't need to wander far. Our Albuquerque auto service center is a brisk cruise away and we offer a year warranty on every service. When you bring your Murano CrossCabriolet to our auto repair center in Albuquerque, you'll get tried-and-true service from our certified mechanics. We handle a gamut of jobs with ease, including Nissan serpentine belt replacement, timing belt checkups and, of course, tough tasks like shock and strut repair - and this is just a fraction of what we can manage. 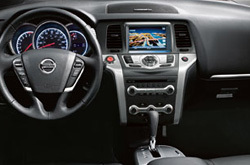 Reliable Nissan's got you covered for tried-and-true Nissan repair and factory-scheduled service in Albuquerque. Get instant savings at the subsequent link. Click below to search for coupons!